One of the leading figurative painters of his generation, Currin's influences range from Italian and Northern Renaissance paintings to popular illustrations from the mid-20th century. Whether portraits of older women, buxom girls, nudes with elongated bodies, or group scenes of domestic life, his works are characterized by baroque gestures, loose brushstrokes, unorthodox palettes, and detailed backgrounds that startle the viewer into a reconsideration of the tradition of painting. His "old master" techniques and individual style have earned him accolades from critics and collectors worldwide. 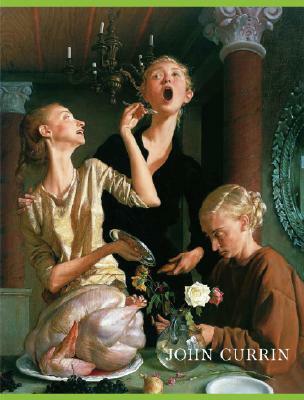 John Currin has a BFA from Carnegie Mellon University (1984) and an MFA from Yale University (1986). His paintings are in the collections of the Art Institute of Chicago; Musée National d'Art Moderne, Centre Pompidou in Paris; Tate Gallery in London; and Whitney Museum of American Art in New York. He lives and works in New York. Allison Gingeras is an art critic who is adjunct curator at the Solomon R. Guggenheim Foundation. Dave Eggers is the author of the best-selling A Heartbreaking Work of Staggering Genius and the editor of McSweeney's.